The gunman behind the deadliest mass shooting in Texas history had in-laws who attended the church he targeted, the local sheriff said. Authorities said the shooter sent threatening texts to his mother-in-law before opening fire on the church. "We know that his ex- in-laws or in-laws came to church here from time to time," Wilson County Sheriff Joe Tackitt told CNN Monday. "They were not here yesterday. So we don't know why he actually showed up yesterday." The rifle-wielding shooter burst into the sanctuary of the First Baptist Church in Sutherland Springs on Sunday, killing 26 people -- including children. Another 20 people were wounded. The massacre left about 4 percent of the small town's population dead. And virtually no one at the church was left unscathed, Tackitt said. "I think nearly everyone had some type of injury," the sheriff told reporters Monday. Texas Gov. Greg Abbott called the slaughter "the largest mass shooting" in the state's history. But it's still unclear what motivated the killer. -- The shooter was first shot by an armed resident who confronted the gunman outside the church. The suspect then turned the gun on himself, authorities said. He was dressed in all-black tactical gear, including a ballistic vest, and was later found dead in his vehicle. -- Speaking from Japan, President Donald Trump expressed condolences for the victims during a Monday news conference and said he believes the shooting was caused by a "mental health problem," not an issue with US gun laws. Officials said that the 26 people killed range in age from 18 months to 77 years old. Freeman Martin, a regional director of the Texas Department of Safety, said Monday that 10 people were still hospitalized in critical condition. Those treated in hospitals ranged in age from 5 to 73, he said. The pastor was out of town when the shooting occurred, but his daughter, 14-year-old Annabelle Pomeroy, was at the church and was killed, her mother Sherri Pomery said. "We lost more than Belle yesterday, and the one thing that gives me a sliver of encouragement is the fact that Belle was surrounded by her church family that she loved fiercely, and vice versa," Sherri Pomeroy said. "Now most of our church family is gone. Our building is probably beyond repair. ... As senseless as this tragedy was, our sweet Belle would not have been able to deal with losing so much family." The church's visiting pastor was also among the dead, Sheriff Tackitt said. So were eight members of one family, a relative and a community leader said. Those relatives span three generations and include a woman who was about five months pregnant and three of her children. Many of the victims have not been publicly identified, pending notification of family members. 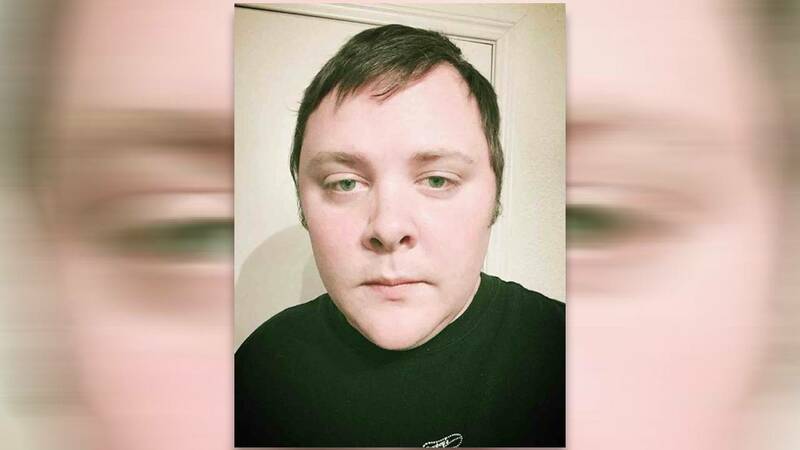 The gunman has been identified as 26-year-old Devin Patrick Kelley, according to law enforcement officials. Kelley was a member of the US Air Force and served at Holloman Air Force Base in New Mexico from 2010 until his discharge, according to Air Force spokeswoman Ann Stefanek. Officials said that the Air Force didn't submit Kelley's criminal history to the FBI, as is required by Pentagon rules. He was court-martialed in 2012 for assault on his spouse and assault on their child, according to Stefanek. He served a year in confinement, received a bad conduct discharge and had his rank reduced, she said. In April 2016, Kelley purchased the Ruger AR-556 rifle he allegedly used in the shooting from a store in San Antonio, Texas, a law enforcement official said. There was no disqualifying information in the background check conducted as required for the purchase, a law enforcement official told CNN. At one point, the shooter tried to get a license to carry a gun in Texas but was denied by the state, Abbott said, citing the director of Texas' Department of Public Safety. "So how was it that he was able to get a gun? By all the facts that we seem to know, he was not supposed to have access to a gun," Abbott said. "So how did this happen?" Kelley had a valid license as a non-commissioned security officer. He became licensed in June 2017. Records show he gained employment with Schlitterbahn, on June 2. "We, like the rest of our community, were horrified to learn of the tragedy in Sutherland Springs at the First Baptist Church. We are keeping everyone impacted by this malicious act in our thoughts and our prayers. "Devin Patrick Kelley worked briefly – 5 1/2 weeks – this summer at Schlitterbahn New Braunfels as a seasonal unarmed night security guard. His employment was terminated. "All our security guards must pass a criminal background check through the Texas Department of Public Safety." The gunman was first spotted at a Valero gas station across the street from the church at about 11:20 a.m.
At least 26 people have been killed and many more injured in a shooting at First Baptist Church in Sutherland Springs, Texas, authorities said. Here is the latest on the attack, as well as a summary and images from the scene. Nov. 7, 2017: Kelley killed his grandmother-in-law during the attack, multiple friends of the woman told CNN. The gunman was obsessed with a domestic dispute, and had sent threatening text messages to his mother-in-law. He texted her as recently as Sunday morning, not long before he carried out the mass shooting, authorities said. The mass shooting left about 20 others wounded at the First Baptist Church in Sutherland Springs, about 30 miles east of San Antonio. The shooter was identified as Devin Patrick Kelley, a former airman who had assaulted his wife and stepson on multiple occasions, according to the US Air Force. Law enforcement officials gather near First Baptist Church. Authorities loading a victim onto a helicopter. The massacre killed about 4% of the town's population. And no one at church was left unscathed, Wilson County Sheriff Joe Tackitt said. Law enforcement and forensic officials gather near the church. He drove across the street, got out and began firing even before he entered the church, Martin said. David Flores told CNN that his father saw the shooter. "My dad saw the gunman run into the church building and then he heard shots and saw people running," Flores told CNN. "People covered in blood and screaming. It was pandemonium everywhere." As the shooter left the church, a local resident used his own rifle to engage him, Martin said. The gunman dropped his weapon and fled. Johnnie Langendorff said he was driving to his girlfriend's house when he saw the shootout between the shooter and the armed resident. The gunman took off in a Ford Explorer, Langendorff told CNN affiliate KSAT. The resident "briefed me quickly on what had just happened and said we had to get him, and so that's what I did," Langendorff said. They gave chase in his truck and called police. As they sped after him, Langendorff said, the shooter "eventually lost control on his own and went off into the ditch" in neighboring Guadalupe County. "The gentleman that was with me got out and rested his rifle on my hood and kept it aimed at him [shooter], telling him to get out. There was no movement, there was none of that. I just know his brake lights were going on and off, so he might've been unconscious from the crash or something like that. I'm not sure." Investigators said Kelley used his cellphone to tell his father that he had been shot and didn't think he would survive. Law enforcement later found the suspect dead of an apparent self-inflicted gunshot wound inside his vehicle. A law enforcement official briefed on the investigation said multiple weapons were found in the shooter's car. The FBI and the Bureau of Alcohol, Tobacco, Firearms and Explosives are involved in the investigation. Hours after the shooting, residents of Sutherland Springs hugged one another, held candles and sang hymns in a vigil Sunday night. Abbott attended the event, in which faith leaders offered words of solace and prayers. Sutherland Springs is the kind of place where "everybody knows everybody," said Gloria Rodriguez Ximenez, who attended the vigil. "This is a small, Christian town, a very small community," she said. "Everybody's united. Everybody's so close to everybody." She knows the First Baptist Church's pastor and his family, including their daughter who died. "I can feel the pain everybody's going through. There's so much hurt for a small town," Ximenez said. Others echoed the feeling of shock and heartache. "My heart is broken," Wilson County Commissioner Albert Gamez Jr. told CNN. "We never think where it can happen, and it does happen. It doesn't matter where you're at. In a small community, real quiet and everything, and look at this." Twenty-three people died inside the church, which has a small sanctuary with wooden pews and red carpeting. Two died outside the church, and one at the hospital. The wounded are being treated at three hospitals including the Connally Memorial Medical Center in Floresville, University Hospital and Brooke Army Medical Center in San Antonio. Each week the church posted video to YouTube of its services. A message on October 29 entitled, "You Don't Need Training Wheels, You Need Christ," was the last. Officials said there is a video recording from inside the church at the time of the shooting that has "been secured." It is unclear if the video will be released. Lea Wilson with Click2Houston.com contributed to the content of this article.